A new identity for a company with a new vision. 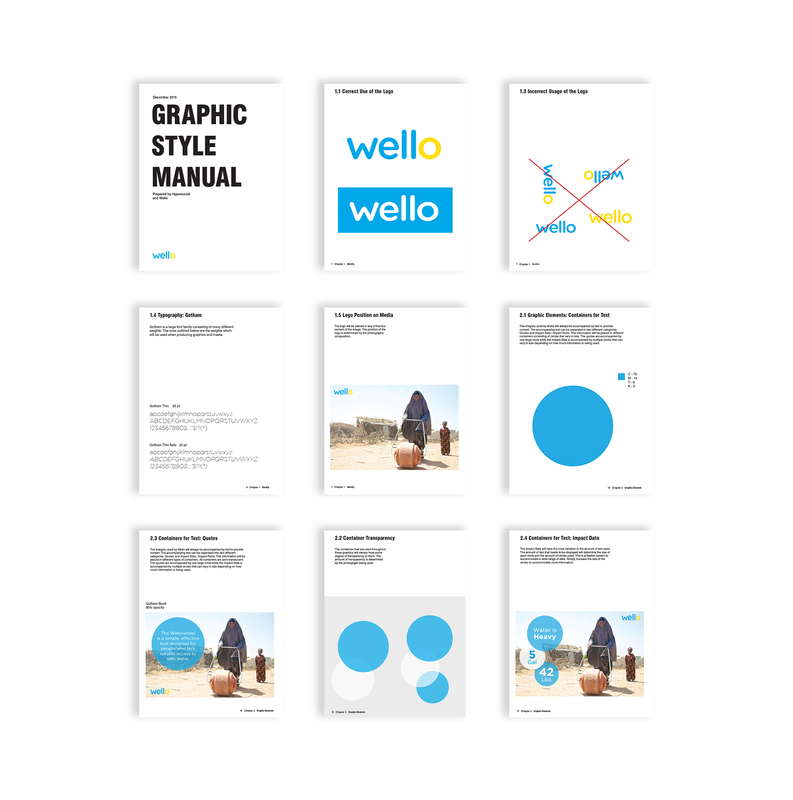 Wello is a social venture with an ambitious goal: to deliver clean water to a thirsty world. They design and deliver affordable innovations that save time and increase opportunities for people who lack access to water. Wello was looking to move from a company that offered a single product to a design company that focused on solving water related problems both big and small. Wello needed a much more nuanced identity to fully express where they were going in the future. The refreshed identity holds onto pieces of their past while ushering in their future. 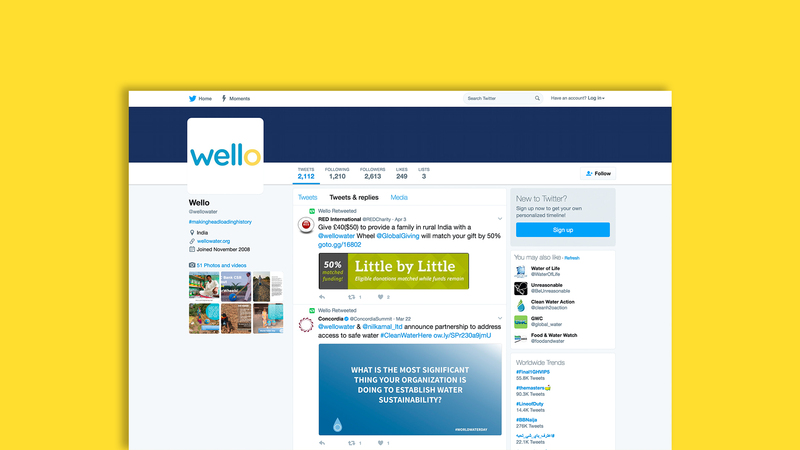 Wello had plans to get their message out through social media. I designed a visual system for them to utilize when posting to their social media platforms. The system is flexible which enabled them to get their message across while staying on brand and creating visual impact.